Washington: With world attention trained on resolving a financial crisis in Western economies, World Bank president Robert Zoellick said the poverty-fighting institution is warning developing countries to prepare for tougher times. 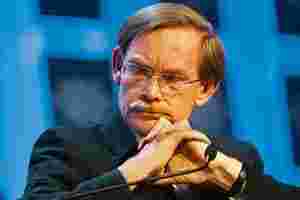 In an interview on Wednesday, ahead of weekend meetings of world finance ministers, Zoellick said business failures, bank emergencies and balance of payments crises are all possible in developing countries as the crisis spreads. He said a growing financial squeeze, together with higher food and fuel prices, will only make it more difficult for governments in developing countries to protect the poor. The World Bank chief said the bank had identified around 28 countries that could face fiscal difficulties. He said he would release the details later on Thursday . “What we’re now moving into is the phase where one has to look more broadly at the danger of developing country growth and there it depends on policies they take and the support we and others can give them," said Zoellick. “Over the medium and long term, I remain optimistic about the possibilities of sub-Saharan Africa being a pole of growth, but it won’t happen automatically, it will require their actions and the right investments,". Zoellick said the World Bank was working with developing countries to make them aware of the services the bank could provide to help prepare contingency plans and support countries whose banking systems may come under strain. The financial crisis threatens to undo much, or in some cases all, of the progress made in many developing countries over the past several years to lift growth and reduce poverty and disease. Between 1997 and 2007, 17 countries in sub-Saharan Africa grew on average 6%, most of them non-oil producers. Another eight countries, all oil producers, grew on average 8% over the same 10 years. Zoellick told a news conference earlier that there was frustration, fear and anxiety at the difficulties economies may now encounter from a crisis that began in the US. Better economic management, fewer conflicts, and prospects of high returns on investments have attracted more private sector interest in developing countries. Among those investors have been China, Brazil, India and the Gulf countries, spurring so-called south-south investment where one emerging economy invests in another. Zoellick said despite ripple effects from the financial crisis in emerging economies, he was confident that China would continue to invest in natural resources in Africa, while the Gulf states look to investments in agriculture. “While we’re dealing with today’s problems, you have to keep your eye on tomorrow (and) take the problem and turn it into an opportunity," he said. Just as Western central banks and China took unprecedented coordinated action to cut interest rates on Wednesday to restore calm to markets, he hoped that they would do the same when it comes to helping the developing world deal with effects from the financial crisis, but also the “human crisis" of increasing malnourishment. The same countries could help by contributing to a World Bank fund to assist developing countries struggling with higher food and fuel prices, and that would provide fertilizer to small farmers and energy to the poor. There would also be a need for developed countries to help the World Bank and the International Monetary Fund support governments facing balance of payments needs and challenges to do with climate change and trade, he said. “We can play a role but we need the developed countries to also act in coordinated action to support that."